With many recent changes in mortgage rules and rates as well as plenty of speculation, it is difficult to get a strong understanding of the market and where it may be headed in the near future. Turn the TV on or listen to news reports and you will no doubt hear many reports on the National, West Coast or GTA market. The challenge is that these markets vary largely from ours…although over time we seem to be more influenced by these markets than ever before. Looking at local development in Guelph and Centre Wellington, builders are relying on Buyers from out of town for sales and this influence is significant. Look no further than Metalworks or Tricar in Guelph and Strathlea or Summerfields in Fergus and you will see the influence that the surrounding larger cities now have on our local market. It is quite common today to have 15-20 groups through a one hour Open House and find more than half of the attendees from the GTA! Compare that to only a few years ago when open houses were largely attended by local Buyers. The question is whether we will see a repeat of last year’s craze in our local Real Estate market? While it may be too early to tell, it certainly is starting to build the same as it did 1 year ago. All markets are driven by supply and demand. If we look at Active Listings for sale one year ago in CW….we had 27 listings between $200-800K. Currently we are at 30! 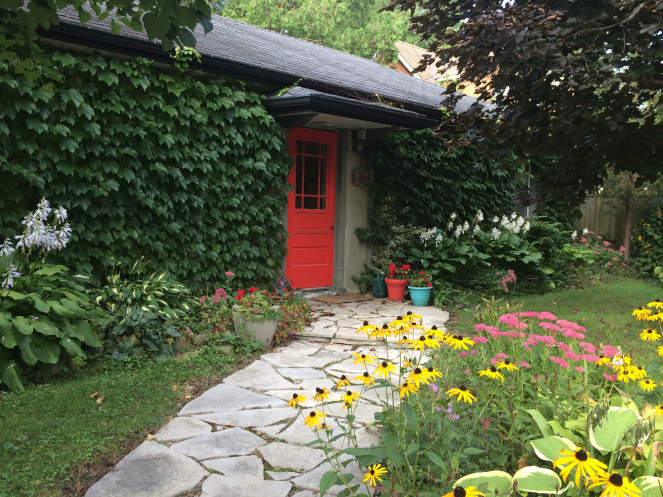 Looking at Guelph…one year ago we had 150 listing between $200-800K. The other parameter is the volume of Buyers. Are there a similar number of Buyers out there in the market today? 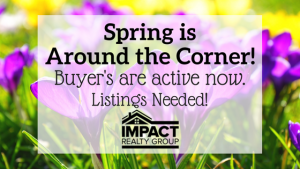 All things pointing to a very active, early spring market! Are you or someone you know thinking of Selling? This may be an amazing time to sell on your terms. Let’s connect and an we can explain how our approach to Selling has led to over 60 combined years of success in the Local Real Estate Market. Are you or someone you know thinking of Buying? It has never been so important to have the right Realtor working for you and your best interests. Reach out at any time and let us help you achieve your Real Estate Goals and Dreams!